When you have been through the ups and downs of acquiring your own commercial premises, whether it is for your own business ventures, or as part of your property investment portfolio, you might want to try and increase the rate of return on your investment by leasing your commercial property. 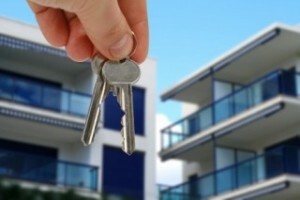 Leasing any property can come with its own set of complications. However, leasing a commercial property can facilitate a lot more. Will the terms of your commercial mortgage allow you to lease the property? How much rent will you charge? What are the average rates at the moment? What types of business can you accommodate? Is your property in a suitable condition to lease? There is a lot to consider, and if you miss anything out, or do something wrong, then there is strong chance that something will go wrong, and you will find yourself without a tenant, or facing legal actions in some cases. Because of this, it is highly recommended that you take expert legal advice that will help guide you through each every item that you need to consider, and be there to assist you if anything goes wrong. Sam Hawking Property Lawyers has years of experience in all aspects of commercial property ventures, and are able to provide excellent and topical advice and guidance on leasing commercial property. Our property experts are well versed in all aspects required for leasing a commercial property, and offer practical suggestions, as well as making it our priority to ensure you are aware of all of the options available to you. We cater for both individual commercial property owners, or on behalf of large businesses and organisations. If you wish, we can ensure that as a landlord you adhere to all aspects of the code for leasing business premises, which was drawn up in 2007 in order to guarantee fairness and quality of commercial leases, or help you negotiate this at the outset if you are a tenant.